Vietnam and the EU recently completed the legal review of their EU Vietnam Free Trade Agreement (EVFTA). The agreement will now be translated into 22 EU official languages and sent to the European Parliament for final approval. Along with the FTA, EU and Vietnam has also concluded their discussions on an Investment Protection Agreement (IPA), which they decided to keep it separate from the FTA. The IPA, which is currently undergoing a legal review, aims to protect investors and investments in EU and Vietnam. An IPA, part of the FTA, is an agreement between two or more countries which aims to protect investors and investments in a host country. It ensures that they will be accorded fair treatment and will not be discriminated. Usually, when there is a dispute between an investor and a host country, investors can reach out to the World Banks’s International Centre for Settlement of Investment Disputes (ICSID) or other similar tribunals permitted under their respective FTA for resolution. In case of EVFTA, both parties have agreed to set up a permanent court, referred to as the “Tribunal” to handle such issues. This will not only protect investors and their investments but also protect a country’s right to oversee the implementation of public policies. In addition, the court system will be an independent dispute resolution system. Under the EVFTA, a permanent dispute resolution system will be set up that will handle disputes related to the investment protection provisions in the FTA, such as protection against expropriation without compensation. Domestic courts will not be allowed to intervene or question the decision of the tribunals to ensure transparency and fair treatment. According to the EVFTA, the tribunal will comprise of nine members. The EU and Vietnam will each appoint three members, while the remaining three members will be appointed from a third country. All cases will be heard by a three-member team from the tribunal, with the EU, Vietnam, and a third country represented equally. The three members will be selected by the President of the Tribunal, with one condition that the chair of the group belongs to the third country, and not the EU or Vietnam. According to the EVFTA, a claimant can appeal the decision of the tribunal to a permanent appeal tribunal within 90 days under numerous grounds such as errors of law, errors of fact, and procedural unfairness of the tribunal’s decision. If not appealed within 90 days, the decision of the tribunal will be deemed as final. The appeal tribunal will consist of six members, two each from the EU and Vietnam, and remaining two from a third country. Before reaching out to the tribunal, a claimant can request for a consultation or mediation. Consultations will be held either in Hanoi, Brussels, or the capital of a Member State of the EU concerned. It can also be conducted through video conference or in any other location, as agreed upon by the involved parties. In the case of mediation, a mediator is appointed by agreement of the disputing parties and can be a member of the tribunal. If a dispute claim is not settled within 90 days of the submission of the request for consultations, a claimant can send a notice of intent to submit a claim. If a dispute is still not resolved within three months from the submission of the notice of intent to submit a claim or 6 months from the submission of the request for consultations, they can forward their claim to the tribunal. However, a claimant cannot submit a claim to the tribunal in case the claim is already pending before any other domestic or international tribunal or court. 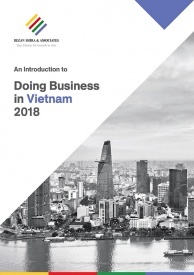 Currently, Vietnam is the EU’s second biggest trading partner in the ASEAN, after Singapore, with bilateral trade in 2017 reaching US$ 55.1 billion. The trade agreement, which both parties aim to bring into effect by 2019, will eliminate over 99 percent of the tariffs. 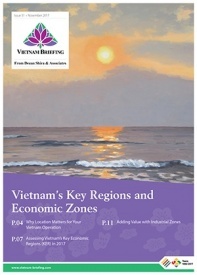 The FTA will boost Vietnam’s GDP by $3.2 billion by 2020, $6.7 billion by 2025, and $7.2 billion by 2030.